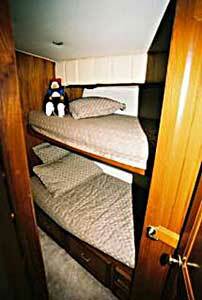 Hinging the upper bunk so it folds down makes the room look larger and more open. 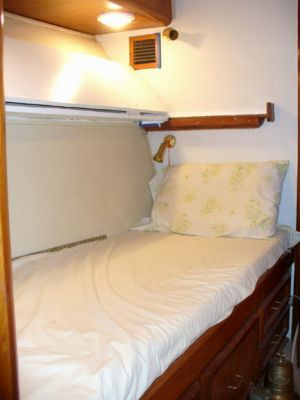 It also provides an area and couch for our grandchildren to use when they visit and want to play games. 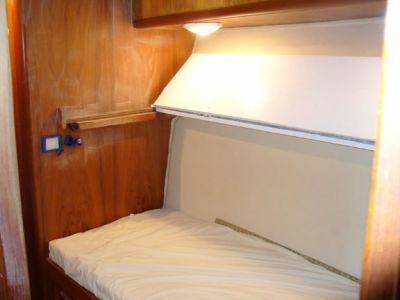 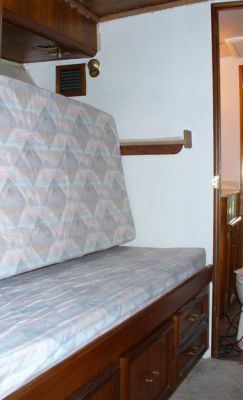 Another view of the bunk folded down. 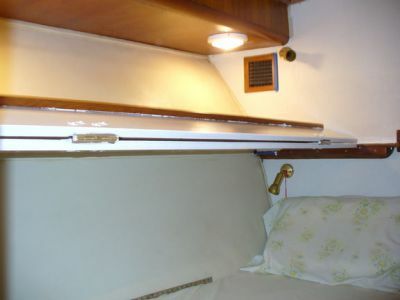 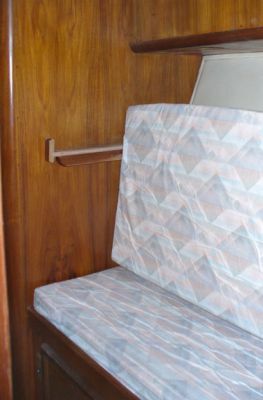 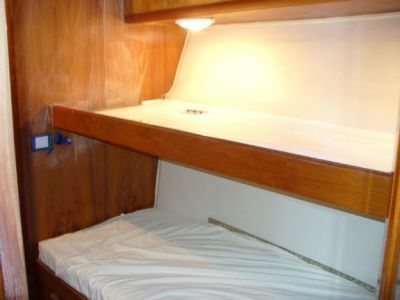 The first attempt at making the bunk fold down did not leave enough seat room for the space to be used as a couch, etc. 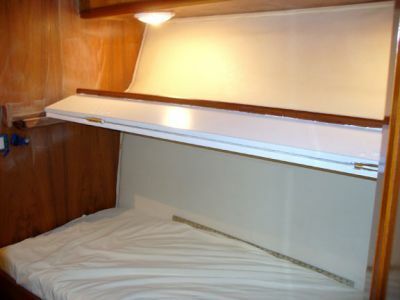 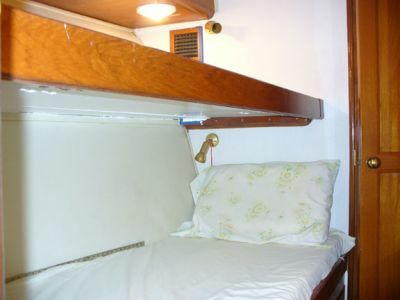 We painted the bunks underside white so that it would brighten the room and blend into the upholstered wall when folded up.